Bill & Melinda Gates Foundation announces US$200 million pledge to the GFF to scale up life-saving services—the first of investors’ expected contributions to GFF Trust Fund in the replenishment. UNITED NATIONS, NEW YORK – The Global Financing Facility (GFF) in support of Every Woman Every Child is launching its replenishment today on the margins of the United Nations General Assembly, with the goal of raising US$2 billion to expand the GFF to a total of 50 countries during the next five years. This financing has the potential to catalyze enough additional domestic and global resources to close the current estimated funding gap of US$33 billion per year to help save the lives of up to 38 million women, children and adolescents by 2030. At the GFF replenishment launch, the Bill & Melinda Gates Foundation announced a US$200 million pledge to the GFF Trust Fund. Although countries have made considerable progress during the past 25 years in improving the health and wellbeing of women, children and adolescents, too many are still dying and suffering from preventable conditions—in considerable part because of a large financing gap. This new funding will help countries reach those who do not yet have access to quality services and accelerate progress on reproductive, maternal, newborn, child, and adolescent health and nutrition. Each dollar invested in the GFF Trust Fund is catalytic and links to several sources of funding—domestic government resources, financing from the World Bank’s International Development Association (IDA) and the International Bank for Reconstruction and Development (IBRD), aligned external financing, and private sector resources. Together, this funding will help countries to realize much greater health and economic gains by starting to close the US$33 billion gap with just US$2 billion in catalytic funding. To date, 11 projects supported by US$307 million in GFF Trust Fund grants linked to US$1.8 billion in IDA/IBRD financing have been approved by the World Bank Group. IDA recently announced its largest replenishment ever, generating US$75 billion that is available for national priorities in low-income countries during the next three years. The World Bank Group and the United Nations launched the GFF at the Third International Conference on Financing for Development in Addis Ababa in July 2015 in support of Every Woman Every Child, and as part of a global conversation about how to finance the Sustainable Development Goals. The GFF has demonstrated in countries that the concept developed two years ago works: women, children and adolescents are benefitting from the new model of financing that the GFF has developed—leading to high demand from countries that are interested in becoming part of the GFF. The GFF is a broad partnership that is overseen by an Investors Group composed of the World Bank Group, which houses the GFF; Gavi, the Vaccine Alliance; the Global Fund to Fight AIDS, Tuberculosis and Malaria; the United Nations; MSD for Mothers; the Bill & Melinda Gates Foundation; and the governments of Canada, Norway, Japan, the United Kingdom and the United States. Current contributors to the GFF Trust Fund include the governments of Canada, Norway and United Kingdom, the Bill & Melinda Gates Foundation, and MSD for Mothers. 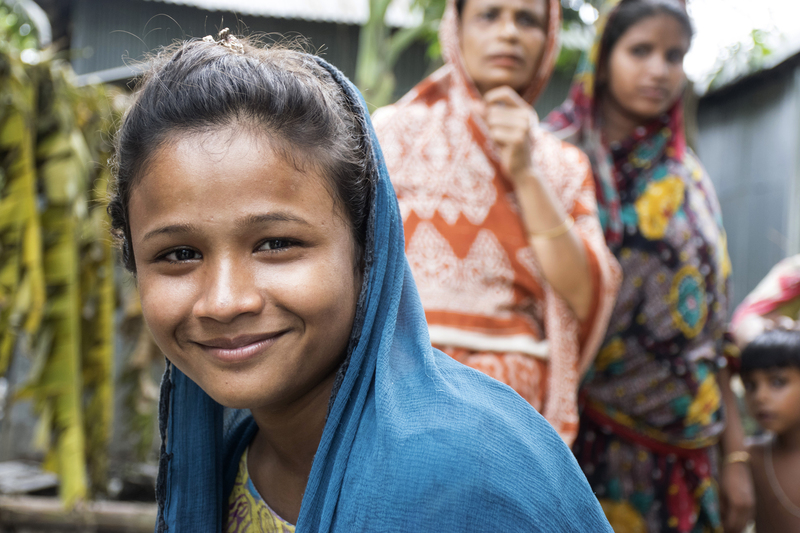 The GFF offers an innovative model of financing in a new development era, with countries in the driver’s seat and bringing together multiple sources of financing in a synergistic way to support national priorities for women, children and adolescents. The GFF has drawn on sectors that influence health and nutrition outcomes such as education, water and sanitation, and social protection. With the support of the GFF, Liberia is investing in quality emergency obstetric and newborn care; civil registration and vital statistics; adolescent health; emergency preparedness, surveillance, and response; sustainable community engagement; and leadership, governance, and management. The GFF has also supported the development of a health financing strategy, which will lead to a national contributory health scheme for sustainable and equitable financing of health services. The 50 countries the GFF would expand to in the next five years account for 96% of the US$33 billion annual financing gap and 5.2 million maternal and child death each year. More information on the replenishment is available in A New Financing Model for the Sustainable Development Goals Era: The Global Financing Facility in Support of Every Woman Every Child and on the GFF website. Including the 16 countries—Bangladesh, Cameroon, DRC, Ethiopia, Guatemala, Guinea, Kenya, Liberia, Mozambique, Myanmar, Nigeria, Senegal, Sierra Leone, Tanzania, Uganda and Vietnam—where the GFF has been working during the first two years of its existence. The GFF Trust Fund is a multidonor trust fund that is hosted by the World Bank Group and that supports the work of the broader GFF as a partnership.